Enormously controversial documentary The Truth Shall Not Sink With Sewol (다이빙벨) premiered at the Busan International Film Festival to nervous fanfare, despite calls from politicians in the ruling Saenuri party, as well as Busan Mayor/Festival Chairman Seo Byung-soo, to have it removed. The Truth Shall Not Sink With Sewol is a hugely impressive and powerfully emotional film, which begins shortly after the ferry began to sink on the 16th of April, 2014. Racing to the scene of the tragedy as with most other members of the press, documentary director Ahn Hye-ryong (안해령) and journalist Lee Sang-ho (이상호) join forces to cover the event. With time running out for the mostly student passengers, and the efforts of the Coast Guard and Navy proving largely ineffectual, directors Lee and Ahn come into contact with diving expert Lee Jong-in who claims his diving bell technology will help the rescue effort. Using real footage, news reports and interviews, The Truth Shall Not Sink With Sewol follows the effort to use the diving bell, and the obstacles placed in their way. With less than 6 months occurring between the Sewol tragedy and the inaugural screening of the documentary, there were concerns that the film would not be as comprehensive an account as the situation, and public outcry, demanded. Directors Lee and Ahn have brilliantly allayed such fears as The Truth Shall Not Sink With Sewol is an intelligent, insightful, and captivating documentary that resonates long after the credits have rolled. Throughout the film director Lee employs a journalistic approach to the events that transpire, and the results are never less than impressive. 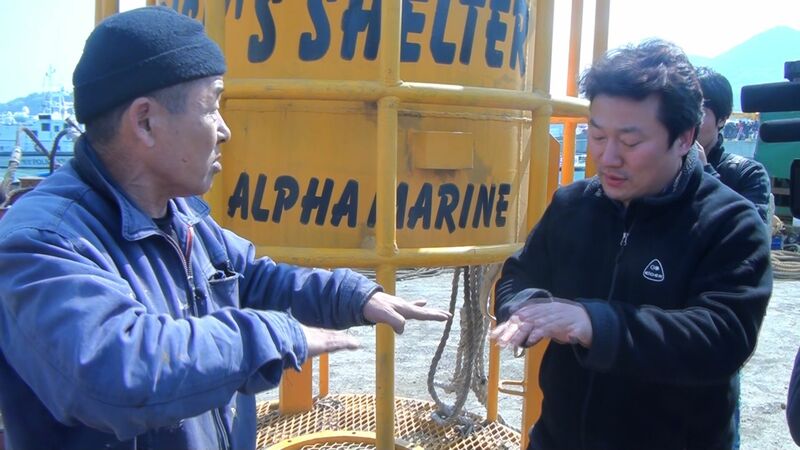 Featuring a mixture of media including interviews and coverage of situations from the scene of the sinking itself, as well as news reports, behind the scenes footage and even text conversations, the film strives to support claims with facts and statistics that are sure to make the Coast Guard, mainstream media, and the ruling Saenuri government particularly uncomfortable. Given the delicate subject matter with which the film deals with, and the still raw position the sinking occupies in the Korean social consciousness, manipulation and bias had a strong potential to arise and overshadow the issues explored. Yet while The Truth Shall Not Sink With Sewol is indeed constructed from the perspective of the filmmakers, they avoid crude exaggerations and endeavor to include counter-arguments and statements from both the mainstream media and government, which often, rather ironically, feature the very embellishments the directors refrain from. In pointing out the misinformation being reported from respected news sources as well as the political statements that conflicted with actual events, the film consistently challenges and condemns the official declarations made, alluding to the collusion between the government and the media in an effort to hide their failures. 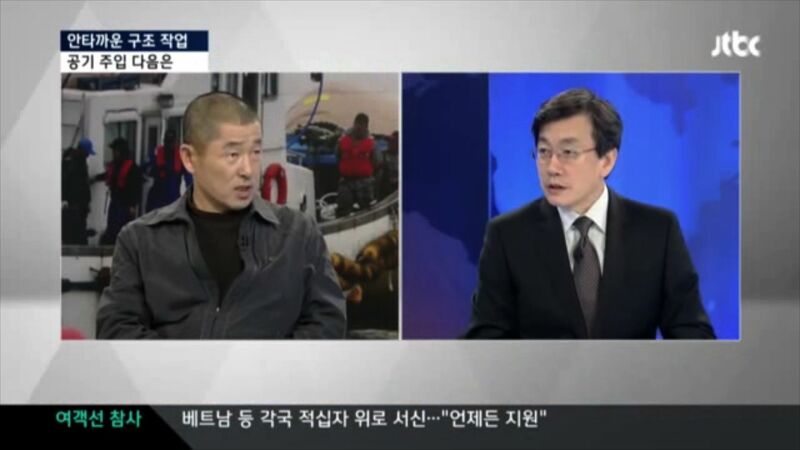 The Truth Shall Not Sink With Sewol takes a dark turn through following the assistance offered by Lee Jong-in, the man responsible for initiating the diving bell controversy. Using roughly $150,000 of his own money, Lee Jong-in arrived at the scene of the disaster claiming to be able to help save lives with a diving bell, which allows divers to work for longer in the wreckage and potentially find survivors. 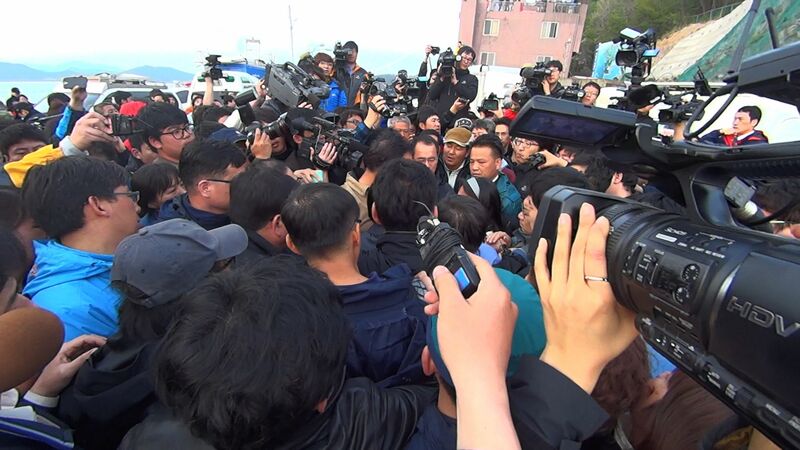 As directors Lee and Ahn investigate Lee Jong-in’s claims and attempts, the obstacles placed in their way to help are documented. Excuses presented by the Coast Guard to exclude the trio are not only proven false but also insinuate incompetence, generating an intense array of emotional responses from those within the film and without. 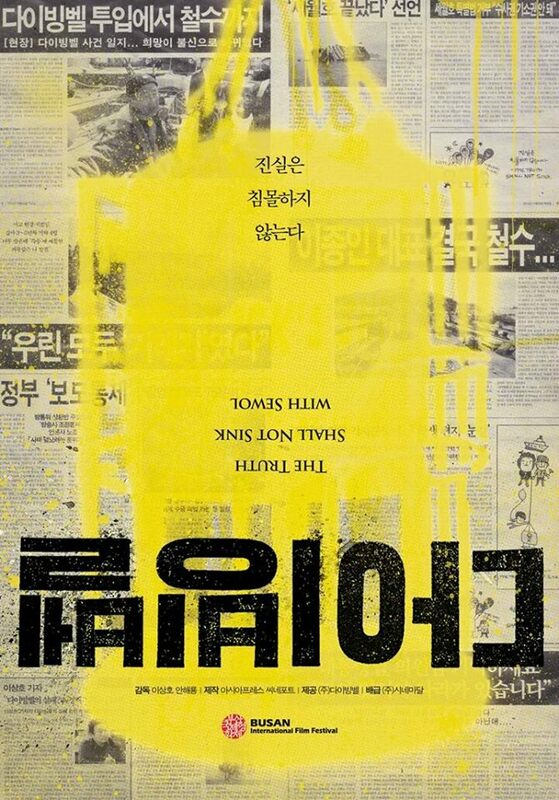 Horrifyingly, the directors convey how the increasing excuses gradually transform into threats against Lee Jong-in’s person, and begin to explore further assertions of the link between government organisations and the mainstream media as they seemingly coordinate a character assassination on the diving bell operator. As such The Truth Shall Not Sink With Sewol becomes an increasingly damning account of Korean institutions, not only in their failure to save the innocent and report the truth, but in demonizing those who tried to help. Directors Lee and Ahn become increasingly close with Lee Jong-in during the course of the film, and as such they form the heart and conscious of the documentary. With the myriad of issues plaguing them from the beginning, the trio articulate their frustrations and concerns with incredible sincerity and passion as their attempts to help are constantly denied. Their attempts to save the passengers and refusal to stop trying drives the film forward with palpable energy, resulting in a documentary that is simultaneously intellectual, emotional, and courageous. While the filmmakers are consistently professional and dedicated it is obvious from the start that these men care, and care deeply, making The Truth Shall Not Sink With Sewol one of the most compelling Korean documentaries in recent memory. Controversial documentary The Truth Shall Not Sink With Sewol is an intelligent, insightful, and captivating film that resonates long after the credits have rolled. Directors Lee Sang-ho and Ahn Hye-ryong have crafted a powerfully charged account about the sinking of the ferry and the diving bell controversy, employing a journalistic stance that is both intellectual and sincere. A brave piece of filmmaking, Sewol is one of the most compelling Korean documentaries in recent memory.